Why Is Hillary Rodham Clinton Harming The American Composers and Performers She Once Loved? The Parents Or Caretakers Who Abuse Children?? Mrs. Clinton, it seems to me Kendrick identified the source of his depression, the roots of poverty, the child abuse/maltreatment that prevented him, his brothers, sisters, cousins, neighborhood friends and school classmates from enjoying a fairly happy safe childhood. Mrs. Clinton, do you, or do you not believe some or many developing elementary and JHS children exposed to this type of horrific child abuse may become confused not knowing OR NOT CARING ABOUT right from wrong? Mrs. Clinton, as they mature do you believe, do some or many children realize their parents introduced them to a life of pain and struggle, totally unlike the mostly safe, happy life the media shows them many American kids are enjoying? If the January 20, 2011 interview hasn’t opened your eyes, try reading the October 25, 2012 LAWeekly (Google search) interview in which Kendrick clearly states he was a SIX-YEAR-OLD CHILD when his mom subjected him to emotional abuse/neglect, torment and great disappointment. Mrs. Clinton, Kendrick Lamar has taken a bold first step by revealing to his family, friends, fans, admirers and the American public, the depression he experienced DUE TO his mom making extremely poor choices that deprived his brothers and sisters of experiencing a safe, somewhat happy American childhood. Mrs. Clinton, reading Kendrick’s background, do you feel horrible for a grade school child who can’t depend on his mom to be there for him, a mom who exposes him to things kids should not have to witness and deal with in their young minds. I admire Kendrick’s honesty when revealing the child abuse he was/is tormented by. However, Mrs. Clinton, honestly, at this moment I have little respect for you and other educated Americans with larger voices than Kendrick’s, who blatantly ignore Kendrick and the thousands of American children much like him who are victims of horrific child abuse at the hands of their caretakers. Caretakers, who in my personal experience during the nearly dozen years I provided police services to a Brooklyn, NY community, are mostly young single teens and women who irresponsibly build families before acquiring practical skills, PATIENCE, maturity and the means to independently care for their children. Mrs. Clinton, are you aware that Mr. Tavis Smiley’s mom was eighteen-years-old when she began building her family of ten children? Mrs. Clinton are you aware that according to Tavis, his NINE brothers and sisters to this day still struggle with poverty, and that Tavis is the only one of ten kids in his family to enjoy a prosperous American life? Mrs. Clinton, I’ve witnessed depressed children angrily lash out at their moms for ignoring them, not feeding them, forcing them to resort to anti-social behaviors that resulted with them being arrested, or suffering grievous physical injuries when they succumbed to “The Street” life Baltimore grandmother Ms. Toya Graham speaks about. Mrs. Clinton, we all witnessed Ms. Graham’s son Michael, as well as his angry, frustrated classmates acting with depraved indifference toward human life as they attempted to cause grave harm to police charged with protecting peaceful people from angry depressed, frustrated teens who often cause emotional trauma and physical pain to peaceful people. Mrs. Clinton, were you one of many Americans who lauded Ms. Graham for taking disciplinary action, yet failed to consider why her son Michael and his schoolmates were/are filled with so much anger and rage, they were attempting to gravely injure or murder the people who protect their peaceful neighbors and community? Mrs. Clinton, why do you fail to recognize these depressed kids are filled with resentment toward the people who introduced them and their siblings to a life of pain, hardship and struggle? 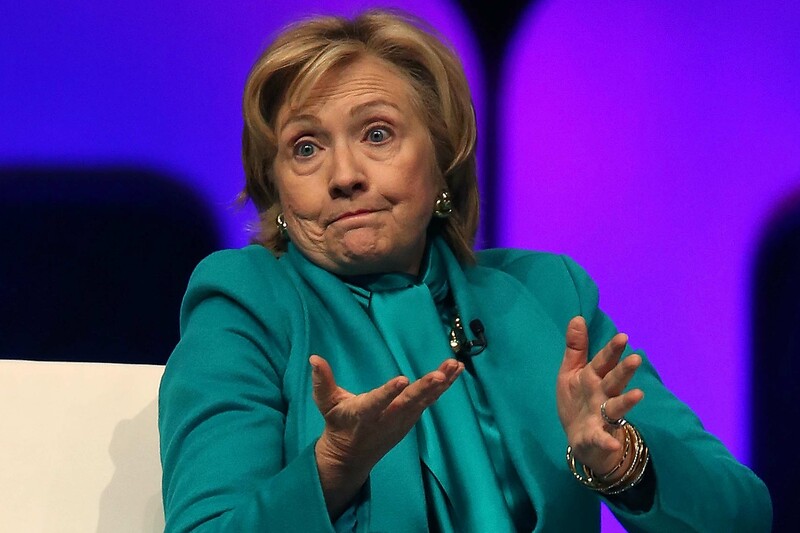 Mrs. Clinton, do you believe it is possible there are many adult victims of childhood abuse who deny childhood abuse, or keep it tucked away not wanting to remember the pain they experienced? Mrs. Clinton, do you understand why most adult victim’s of early child abuse, excluding Kendrick Lamar and Tupac Shakur, are reluctant to blame their parents, instead venting their anger and frustrations on the authority figures many of their elders and community leaders tell them are responsible for their hardship and struggle? Mrs. Clinton, when Motown was in its infancy you were a young teen, I was a toddler. We both grew up dancing and celebrating the music our mega-talented, peaceful Motown neighbors composed for the enjoyment of ALL Americans and people all around our tiny blue orb. Let me ask you, Mrs. Clinton. Have you ever pondered why musicians from our early years wrote lyrics praising, adoring, loving and respecting women, while many of their children and grandchildren were/are, for the past thirty years, writing lyrics characterizing females, aka our moms, sisters, grandmas and daughters, as “wvtches and bhvres,” or essentially less than human, undeserving of respect? Mrs. Clinton, do you not recognize well-intentioned social policies designed to help American moms and others emotionally harmed by the human ignorance known as racism, planted the seeds for another social problem that resulted with me personally witnessing kids like Shawn “Jay Z” Carter (born December 4, 1969) running wild through the streets of Brooklyn, NY, causing fear, physical and/or emotional pain to virtually every peaceful person living and working in his Brooklyn community? Mrs. Clinton, do you feel compassion for the moms of our Motown friends who were forced to contend with the emotional effects of racism embraced for several hundred years by a significant population of ignorant Americans? Mrs. Clinton, do you feel compassion for the daughters and granddaughters of our Motown friends who today, are forced to contend with the emotional effects of their children characterizing them as “wvtches and bhvres.” or less than human undeserving of respect…much the way the ignorant population of Americans characterized their Motown moms and dads, and their grandparents? Mrs. Clinton do you not recognize many of today’s popular music performers are describing in their popular lyrics the child abuse/neglect they, their sisters, brothers, cousins, neighborhood friends, elementary and JHS classmates were victimized by, depriving them of an Average Joe or Josie American kid childhood? Mrs. Clinton, with all due respect, I believe you and many of your highly or average educated friends and supporters recognize why the children and grandchildren of our Motown friends are disrespecting females in their popular music performances. Mrs. Clinton, I also believe you have built a platform that assists/enables adult victims of early child abuse to continue denying they are/were victims of child abuse/neglect, thereby you are facilitating the cycle of child abuse harming kids who mature into teens acting with depraved in difference to human life by pelting cops with bricks and boulders. Mrs. Clinton, when you ignore the child abuse many kids have suffered over the past four or five decades, in my opinion you have no interest in seeing many American moms regain the respect and love of their children. In fact Mrs. Clinton, by ignoring the child abuse epidemic harming the psyche of our entire nation, you are not only perpetuating the victimization of children, you are doing nothing to ease the burdens of peaceful moms dealing with real life stresses and challenges, moms who everyday are stressed while trying to protect their children from being influenced by emotionally damaged kids in their schools and neighborhoods. Mrs. Clinton, with all due respect, when you speak about “white privilege” I see an ignorant American citizen selfishly wanting to ignore the dysfunctions of some or many American moms whose support you seek. Is “white privilege” responsible for influencing American rap performers to characterize females as *itches and *hores, Mrs. Clinton? Mrs. Clinton, sadly it appears you choose to exploit racial issues, appealing to the emotions of depressed people who are in denial about the poor choices many “living wild” young people in their communities make for their families/children’s well being. Mrs. Clinton, depression is triggered by many factors or situations. As Kendrick boldly shared, Child Abuse can cause depression. Do you know what also causes many peaceful people to become depressed, Mrs. Clinton? Ask an Average Josie mom, wanting to raise peaceful happy Average Joe and Josie kids in a community populated by many “living wild” moms and/or dads raising their children in environments Kendrick describes. Ask these loving, caring moms about the stresses and challenges they experience keeping their children from being influenced and harmed by children being raised in families fraught with emotional abuse, neglect and maltreatment. Mrs. Clinton, do you realize by not speaking loudly, using plain English to address the epidemic of child abuse that began five decades ago, you are ignoring real life stresses and concerns that cause peaceful moms and dads to legitimately fear for their children’s emotional well being and physical safety? Mrs. Clinton, are you familiar with the writings and raps created by legendary American rapper Tupac Amaru Shakur? (born Lesane Parish Crooks; June 16, 1971 – September 13, 1996). If not I suggest reading his lyrics, aka true life stories, to learn about his love-hate relationship with his mom, his great disappointment with his dad, and about Tupac’s frequent suicidal thoughts. In his early 90s ‘That’s Just The Way It Is’ (aka Changes) Tupac raps about waking up in the morning and contemplating suicide. He raps about emotionally and physically harming his peaceful neighbors in order to survive the life of struggle, pain and hardship his dysfunctional parents introduced him to. Mrs. Clinton, Read about how Tupac’s drug addicted mother accepted proceeds from the harmful anti-social acts Tupac raps/writes about committing against his peaceful neighbors. I have to tell you, Mrs. Clinton, reading Tupac’s lyrics brings back a lot memories of the emotional child abuse I witnessed during the nearly twelve year I tried to protect peaceful people from teens and adults dealing with the consequences of child abuse. Mrs. Clinton, could feeling unloved and emotionally abandon by his mom inspire Tupac to write/rap about waking in the morning and contemplating suicide in a rap he titled, “That’s Just The Way It Is”? Perhaps immature mom’s making poor choices for their families is responsible for the rise in suicide the children and grandchildren of our Motown friends are experiencing, as recently reported by the NY Times? Mrs. Clinton, before I close this grammatically impaired writing, for which I apologize, I have to be frank. I do not admire people who willfully fail to abide by established rules and procedures that provide for personal and public accountability. I’ve heard and read a lot of harsh comments about your activities and character, Mrs. Clinton. Of all the comments I’ve read about your lack of character and truthfulness, the incident with the unauthorized server bolsters my opinion that you are not a quality person fit to lead my country. You do not follow the rules and you are a sneak. If you were my mom and dad’s child, they would be greatly disappointed, wondering were they failed. I am quite sure if my folks were still around witnessing you and your supporters ignoring the obvious emotional pain many children and grandchildren of our Motown music friends have experienced since we sang along and danced to their songs of peace, love, respect understanding and unity, you would not find my folks donating to your campaign…a campaign that incites, instead of seeking to heal and unify Americans so we all prosper and have kids who experience an Average Joe or Josie American life. Please, will someone, anyone with a larger audience than Kendrick Lamar, help Kendrick and other victims of early childhood emotional abuse and neglect actively, publicly, loudly discuss how we go about healing their pain and protecting future generations of Americans from experiencing abusive childhoods? Or will today’s larger voices continue ignoring the voices of young people across our country who unlike their peaceful, mega-talented Motown music predecessors, write performance lyrics characterizing women “wvtches and bhvres,” essentially less than human people, not deserving of respect? Hillary many enjoy being characterized that way, though I have a feeling there are millions of moms across our nation who feel otherwise, wanting to be respected and treated with dignity the maternal half our population deserves. Rodham began a year of postgraduate study on children and medicine at the Yale Child Study Center. Her first scholarly article, “Children Under the Law”, was published in the Harvard Educational Review in late 1973. Discussing the new children’s rights movement, it stated that “child citizens” were “powerless individuals” and argued that children should not be considered equally incompetent from birth to attaining legal age, but that instead courts should presume competence except when there is evidence otherwise, on a case-by-case basis. This page was last modified on 22 June 2015, at 03:23. “The Clinton Chronicles: Bill and Hillary Exposed” is a 1:44:00 presentation about the criminal activities the Clintons have embraced.